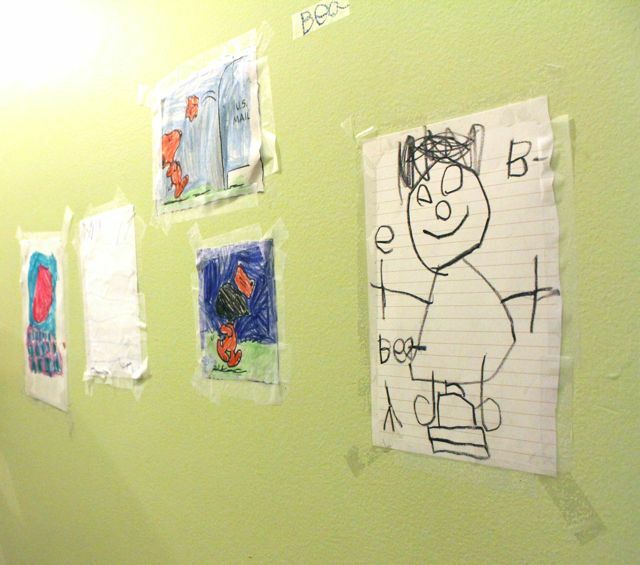 Apparently, Bea has decided that her artwork needs a larger gallery space than our fridge. 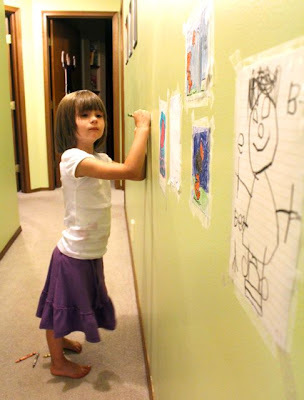 On Sunday night, Eric and I noticed that she'd started taping her latest masterpieces up in the hallway. And by taping, I mean she has securely fastened her work with 100's of tiny pieces of Scotch tape. I found three empty dispensers the floor. 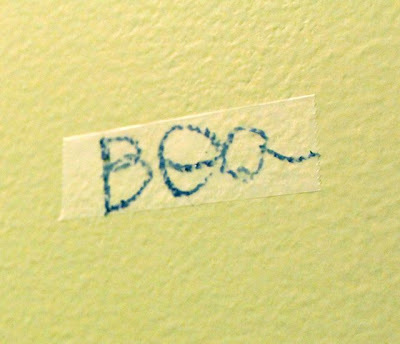 I was particularly amused that she put one piece of tape on the wall and wrote her name on it with crayon. 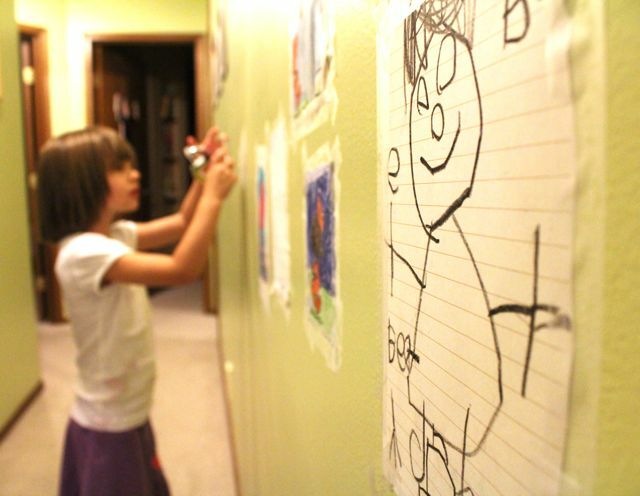 I asked her why she did that, and she said "Because mom, you're not suppose to draw on the walls." She is absolutely correct. 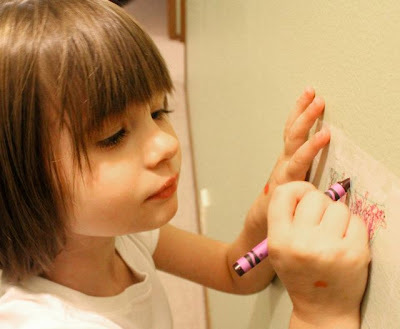 Tape-on, my little artist. Saw it. Bought it. Painted it white.